Love Noro. In my not-so-humble opinion, no one does color like Noro. Of all the yarns they make, Taiyo is my favorite in Colorway No 1. Its nice right? Right. But its twisty. 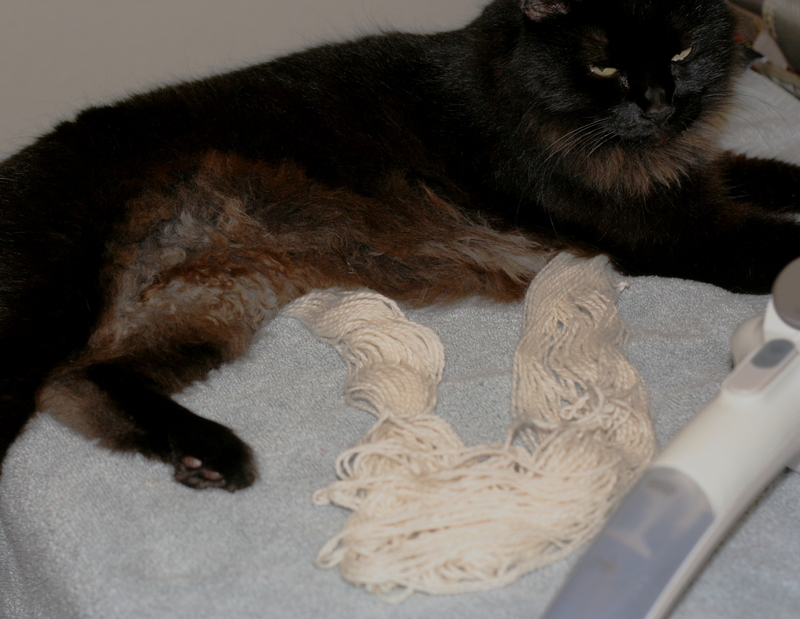 As you stitch with it it doubles back on itself and that can be a pain. If you’ve worked with Noro you’ve encountered this. All their singles are overspun. A more generous soul would call them energized singles. I’m not that generous and I want it to stop twisting. 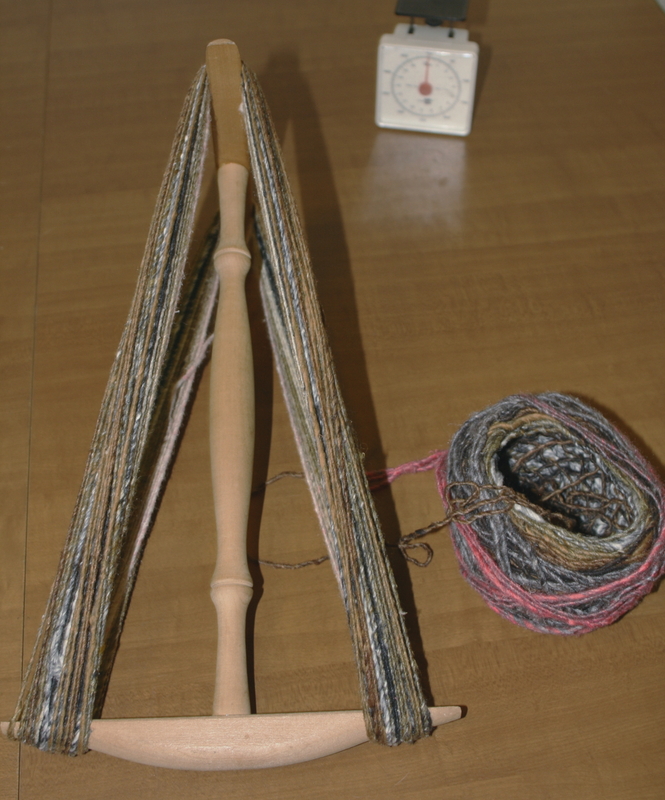 So I take the time to “finish” my Noro yarn with steam. Fighting that twist the whole way though a project is a pain. It slows me down. It makes me cuss. Sometimes the twist is so bad that i end up with knots. Then I just cuss more. To avoid all that frustration and all that foul language, I steam Noro yarns before I work with them. That habit came out of handspinning. Any spinner will tell you when you have finished spinning the yarn, you are not finished. The twist needs to be set. There are different ways to set twist and I like steam. 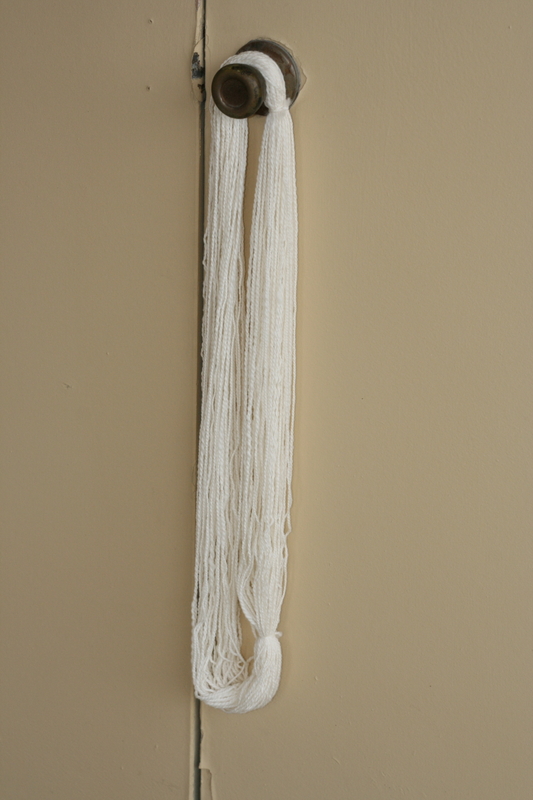 That finishing with steam (or otherwise) takes out the overtwist in handspun yarns. But after steaming it looks like this! The same finishing process will work with Noro and most other commercial yarns that have been overspun. As I mentioned above, there is more than one way to set twist but here is how I do it. The yarn needs to be in a skein. You can use the back of a chair or a creatively bent coat hanger. You can use your significant other by making him/her stand with their hands held out. Or you can use a kitty noddy. 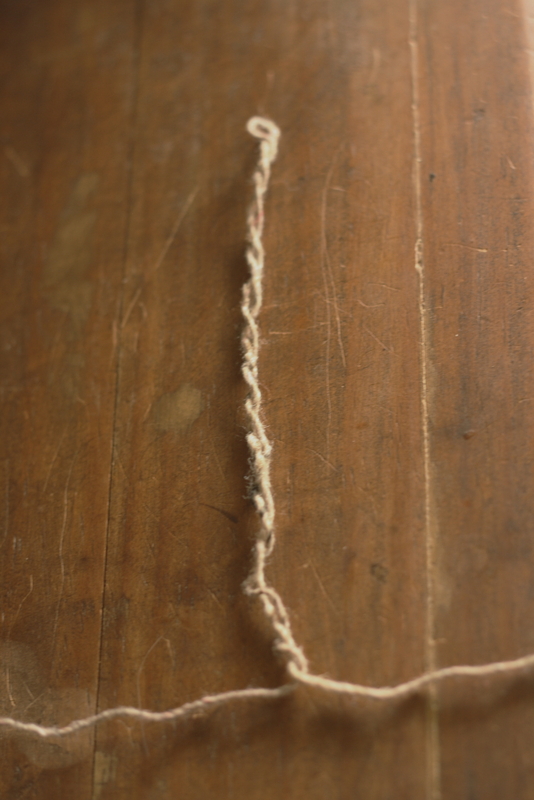 Tie up the skein, give it a shake, and see how it hangs. Pretty twisty and it needs some steam! I have a small handheld steamer and its perfect for what I do. Before it came my way, I used a steam iron and that worked too. Don’t press the hot iron down on the yarn but hold it an inch or so above and let the steam hit the yarn. The effect is instantaneous and pretty cool as you can see in the video. I steamed both the handspun and the Noro (but first I had to shoo off Feline Overlord who can hear handspun coming out of its bag from two rooms away). And Ta-Da! 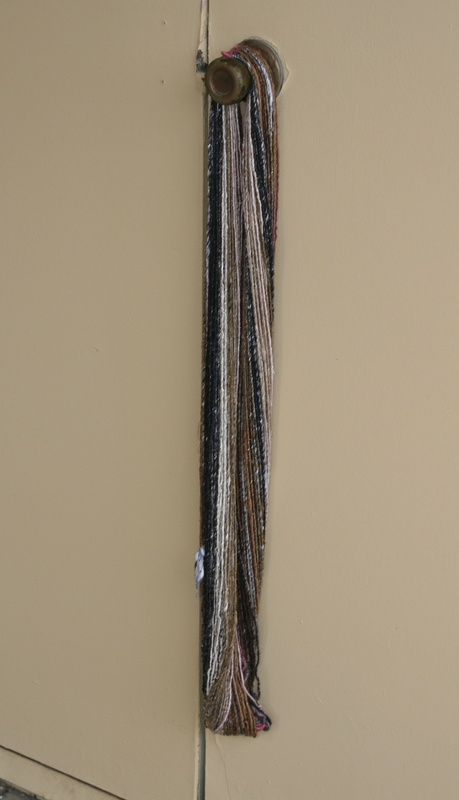 The Noro isn’t quite hanging straight but its much better than it was. I can live with it and I can stitch with it. 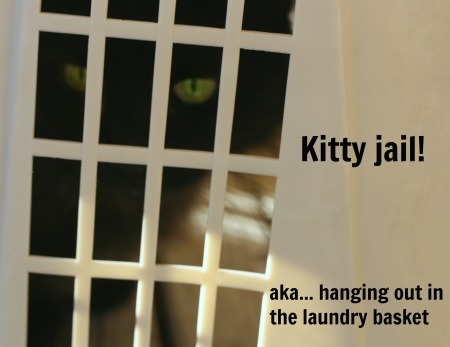 I won’t promise that there will be no cussing but any dirty words will be a result of other irritations (like bad kitties or text messages or tie-offs in the yarn) and not overtwist. 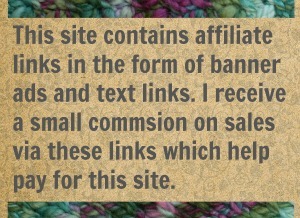 8 Comments on "Taking Some Twist Out of The Noro (and other yarns!)" So great to know – Thank you, thank you, thank you! I do that that Seraphina Shawl even though you have to to the extra effort to chase down a corrected version. Its a lovely pattern. I hate the “let the ball hang and untwist”. Its seems like such a waste of a crafter’s time! Hope you try the steam before your next Noro project and I hope it pays off. Now what’s this about making cat toys???? Cats need us to make them actual toys? But it seems that everything I own has been appropriated as a cat toy. Have I told you lately how brilliant and helpful you are? I’m going to link to this post on twitter, ‘k? Thanks! And thanks for the link-y! Thank you so very much for this advice! 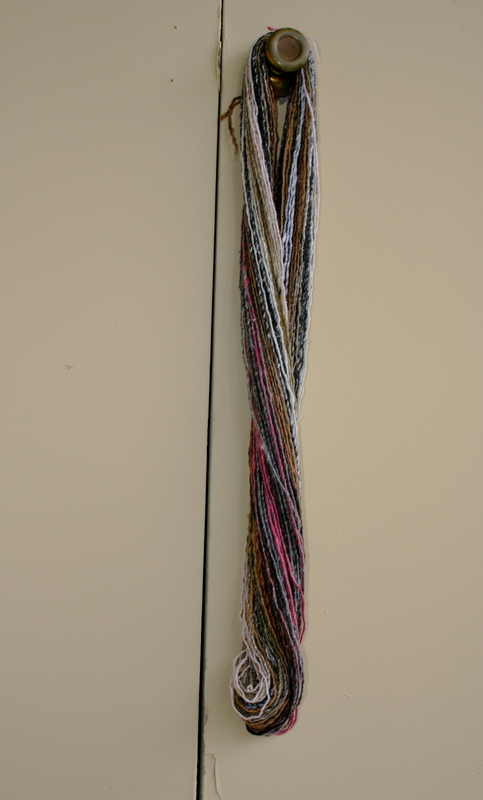 I have actually given Noro yarn away because it is so difficult to work with. Now I can face it again. You are not alone. 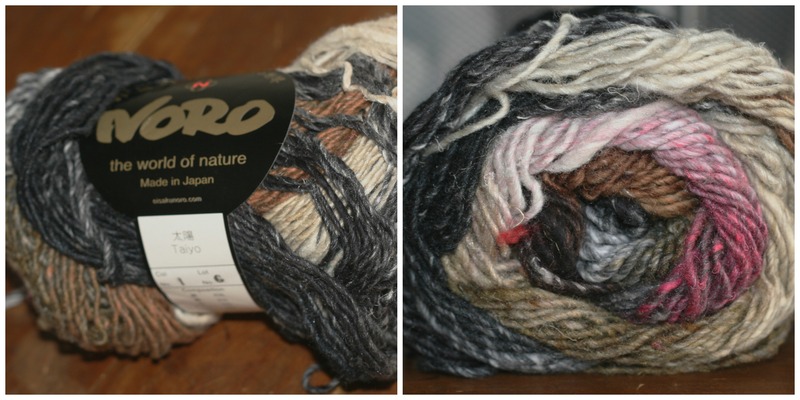 When I worked in a yarn store I saw several customers coming back to return Noro. That over twist was just not what they wanted to deal with. I feel the same way sometimes but I get suckered in by the Noro colors. They have some of the loveliest shades of green and blue. So I’m glad my tip found its way to you!